This man is costing you. It’s a good time to debunk the biggest Stephen Harper myth there is: “We are good economic managers”. Repeating a lie does not make it true. We need to spend $15 billion on jails because unreported crimes are rising? Don't believe them. We need to stop the long-form census, because the census-takers are going to send you to jail? Don't believe them. We need to kill the long-gun registry, because the police are leading a cult conspiracy to take away everybody's guns? Don't believe them. We awarding a $19 billion untendered contract for new jets because the Russians are coming? Don't believe them. This is a government that is counting on fear, driven by lies, to earn the votes it needs to win again. Is it true that only a Harper Conservative government can bring sound management to the economy? Don't be fooled. Look at the record. In recent months, we’ve been treated to more stellar economic and fiscal management, such as a double-digit increase in spending for Harper’s own office, shutting down downtown Toronto for 72 hours for a cost of well over $1 billion, not to mention the ignored Charter rights of Canadians, and triggering an unprovoked conflict with the United Arab Emirates that will cost us at least $300 million. In their first year in office, the Conservatives blew the $13 billion budget surplus they had inherited. They did that through an old-fashioned combination of massive double-digit spending increases and imprudent tax cuts. After promising in their written platform not to touch income trusts, Harper did just that and cost investors, many of them retirees, billions. The 2 per cent decrease in GST was a political gimmick that cost the treasury tens of billions with no discernible economic benefit. Every mainstream economist argued for cutting personal income taxes to improve productivity and standards of living. But to pay for the GST cut, the Conservatives actually raised personal income taxes. This was in comparison to prior Liberal government polices, which favoured multi-year reductions, removing low-income earners from the tax rolls, and helping Canadian families with real measures, including doubling the duration of maternity and parental leave under the employment insurance program and strengthening the Canada Child Tax benefit. While taking down government revenues just before the recession, Harper was driving annual increases in government spending to double-digits. In the summer and fall of 2008 – in the midst of the most severe and dramatic economic meltdown we’ve ever seen – Harper urged Canadians to seize this “buying opportunity” and buy stocks. 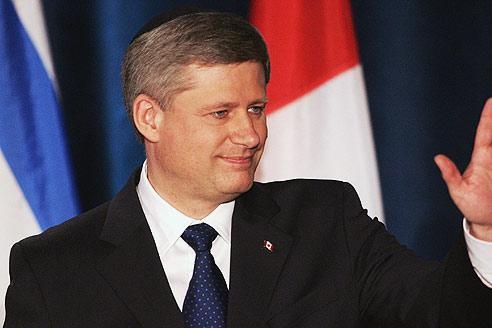 During the election campaign that followed, he proclaimed that a Conservative government would never run a deficit. 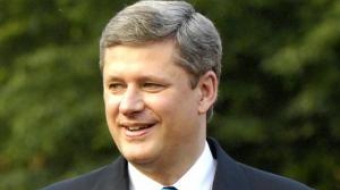 In Harper’s own words just four days before the Oct. 14 vote: “This country will not go into recession next year". After the general election of 2008, as the world economic system was collapsing, Finance Minister Jim Flaherty tabled an economic statement that all presumed would recognize the unfolding global reality, including the failure of key U.S. financial institutions and unprecedented emergency measures being adopted by the European and U.S. administrations. Instead of summoning the country to action against the backdrop of an unfolding global financial cataclysm, all the Harper Conservatives could come up with was terminating the right to strike of public sector unions, ending pay equity, and eliminate the subsidy to political parties. Hardly an intelligent response, and well short of the leadership that Canadians were looking for, as confidence dropped like a stone and jobs were lost at a dizzying rate. The denial and rank incompetence was breathtaking.